Missing features are balanced out by excellent additions, but if you want the world to see your work, stick to the Wii U version. 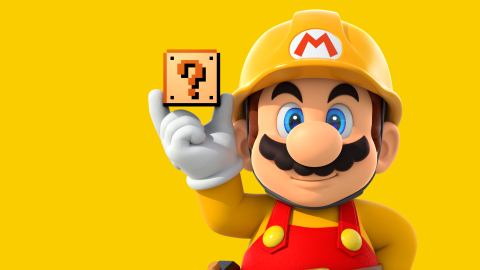 Super Mario Maker for Nintendo 3DS is a course design tool built upon the idea that the act of creation is its own reward. To get the most out of it, you’ll need to approach it with that mentality. You need to believe that the satisfaction of having made a good Mario level is more important than having hundreds or thousands of people playing it and showing their appreciation. It is absolutely, categorically not for dabblers. Understandably, there were derisive hoots when Nintendo announced that the 3DS version would not allow players to share their created courses online – unlike the Wii U original. For some, it removed the game’s reason for being, and the ability to swap stages with strangers via StreetPass, or to collaborate on designs with friends and family, was scant compensation. There is a certain pragmatism behind Nintendo’s decision. In democratising the design process, Nintendo created the most inconsistent 2D Mario ever. As anyone who completed the 100 Mario challenge – which drew from a selection of player-made levels - will attest, the Wii U game was quickly flooded with poor quality stages. While rating systems theoretically allowed the cream to rise to the top, the charts were often filled with courses that played themselves: these wonderfully elaborate contraptions were often remarkable to behold, but didn’t require any input from the player. Others, meanwhile, saw their lovingly crafted stages deleted, as Nintendo struggled to deal with the sheer volume of uploaded courses. With 3DS having a much larger install base, that would have increased significantly. As such, SMM 3DS is one of two things. It’s either a terrific design tool for a niche audience of players who are happy to build for the sake of building, or who have plenty of friends with 3DSes and a similar interest in course creation with whom they can share their ideas. Or, it’s a slightly overpriced but otherwise worthwhile companion for those who already own the Wii U game but would like more effective guidance on how to make a great Mario level. There’s no denying that SMM 3DS is a better teacher than its predecessor. Its lessons might err on the side of condescension, but its patience and thoroughness are welcome for a process where it definitely helps for creators to possess both attributes. It’s not simply a case of explaining each individual element and showing examples, but contextualising them. You’ll place level furniture, hazards and enemies within a template before playing through it, and then you’ll play a different design where it’ll explain what works and why. It might sound a little dry, but there’s humour and character in the delivery, with an edamame-obsessed pigeon and his personable human assistant as your tutors. Then there’s the not insignificant matter of the Super Mario Challenge – 100 levels spread across 18 worlds, with each world providing new course elements to add to your designs once completed. There’s no greater inspiration than seeing ideas in action and considering how you might tweak or refine them for your own ends. Whether it’s something as simple as using a Buzzy Beetle shell as a protective helmet, or as complex as an intricate puzzle-box stage where the order you obtain power-ups is crucial to unlocking the exit door, there’s a wide variety of source material from which to draw. Two medal objectives per stage allow Nintendo’s designers to construct a tiered challenge in a more creative way. Seasoned Mario players should have little trouble reaching the end of a level, but doing so having earned five extra lives on the way (whether they’re tucked away secret areas or killing enough enemies with a single shell or Super Star pickup) gives you cause to study each stage more carefully. Again, you’re learning: this time Nintendo’s demonstrating how you might choose to test players in more inventive ways than simply stacking up enemies or adding more saw blades. Some courses don’t really come alive until you’re trying to get both medals, but they’re often ingenious. One late stage asks you to bounce on all Wigglers – including some giants – before reaching the goal, while the second asks you to avoid every single one. The latter, inevitably, is comfortably the trickier of the two, and it’s fascinating to scrutinise the stage furniture and enemy placement to discover why that is. Then again, you won’t be able to edit a course until you’ve earned both medals. In theory, Nintendo is trying to encourage budding level designers to move away from the kind of masochistically hard courses that are only ever completed by Japanese streamers, shrieking “YATTA!” with a mix of elation and exhausted relief after 19,000 attempts. And yet in gating design materials behind some truly fiendish challenges – even finishing all 18 worlds will be beyond some players - it seems tailor made for precisely that type of Mario fan. Targeting a narrower niche isn’t necessarily a negative, even if that represents an unlikely change of tack for a developer that tends to prize inclusivity over most other things. But other restrictions are more problematic. Given that you can no longer share stages online, it makes little sense that there’s no way to create your own sound effects – even if Nintendo was concerned about objectionable noises reaching unsuspecting StreetPassers, that’s an easy fix. The musical accompaniment to object placement that gave level building on Wii U a delightful performative twist is badly missed. And though the available Wii U courses function just fine on 3DS, you’re limited to a list of ‘recommended’ courses, without any way of refining the selection beyond the difficulty setting. The picks for the returning 100 Mario Challenge, meanwhile, are every bit as uneven as before. All of which means there’s a faint whiff of compromise about Super Mario Maker for Nintendo 3DS. It’s still a magical creative toolkit with an outstanding interface, with the added bonus of 100 good-to-excellent new stages and a tutorial that will make you a better creator. But otherwise this is clearly the lesser version of the two currently available. Accept its limitations and you might find it a valuable learning tool, but it’s hard not to think Nintendo might yet be working on a Switch version that would surely combine the two and give us the best of both worlds. Something for dabblers and technicians.